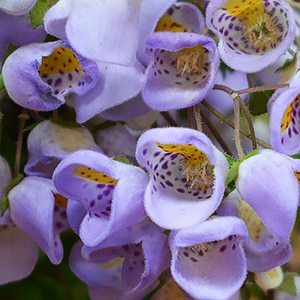 This is one of those rare plants you may not have seen, it has no real common name, however Jovellana violacea makes a great addition to a sunny protected position in the garden. 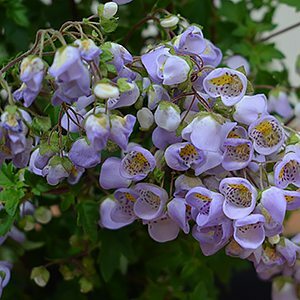 This is small evergreen shrub form Chile, small bell shaped lilac flowers from spring through summer make Jovellana violacea a colourful addition to the garden. Although the plant is originally from Chile, it does come from higher areas. This is a species that prefers cooler climates, the flowers are small, however there are masses of them. Violet with yellow throats, spotted with mauve and on the yellow these appear as red. The foliage is an attractive green and smell little like mint. A frost free position is best, so look for a sunny protected position in the garden with a little shade in the afternoon especially in warmer climates. Jovellana violacea will reach around 1m to 1.5m in height and does tend to sucker a little, although easily contained. It grows well in a container, best grown in a warm position with some humidity. Spread – Will spread to .5 metres over time and does sucker. Flowers – Pale lilac with part yellow throats spotted with red and blue.